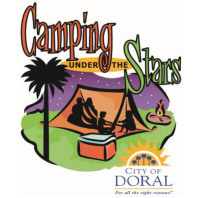 The annual Camping Under the Stars in Doral event is this upcoming weekend, and it offers a great opportunity to have some frugal family fun with the kids. 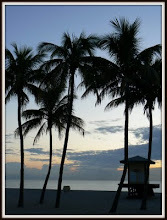 The Camping Under The Stars Event takes place at JC Bermudez Park in Doral, and you can arrive at 3 pm Friday. It is a free event, where you bring your own tents and camping materials to stay overnight at the campgrounds. Food and refreshments are available for purchase from 6 - 9 PM. Breakfast tickets can be bought at $6 a piece, and the proceeds goes to Boy Scouts of America, Girl Scouts and Cub scouts. Where: JC Bermudez Park, 3000 NW 87th Ave., Doral. What: Activities include Petting Zoo and Reptile Encounter, Facepainting, Coconut Tree Rock Climb and the Movie Yogi Bear (Rated PG). Food and beverage will be available for purchase, and breakfast tickets are $6.00. All overnight camping groups must register, and camps site are available on a first-come, first-serve basis. This sounds great. I love it when people put so much effort in just to make something good and not a profit !